Mutations in genes responsible for the metabolism of homocysteine, renal insufficiency, or nutritional deficiencies of B vitamins required for homocysteine metabolism, particularly folic acid and vitamins B6 and B12, can result in severe forms of hyperhomocysteinemia  . 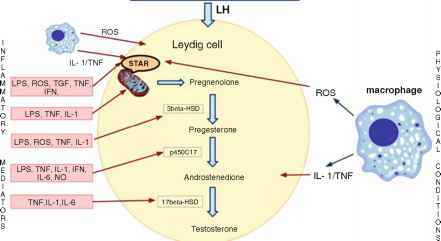 ED correlates with high levels of homocysteine in men [93-95] and experimental animals [96, 97]. Limited studies have been done that delineate the mechanisms of hyperhomocysteinemia-associated ED. In the rabbit corpus cavernosum, hyperho-mocysteinemia impairs relaxation through a reduction of endothelial NO bioavail-ability, and increases cavernosal tissue superoxide production [96, 97] . However, the mechanisms of hyperhomocysteinemia-induced ROS production and sources of ROS are not known.